Yarn Type This yarn although a chunky weight is light enough to wear for any season and shows beautiful stitch definition. 60% Cotton 40% Acrylic. A collection of 12 womens designs using All Seasons Chunky.This collection showcases lovely relaxed summer styles which are easy and quick to knit. 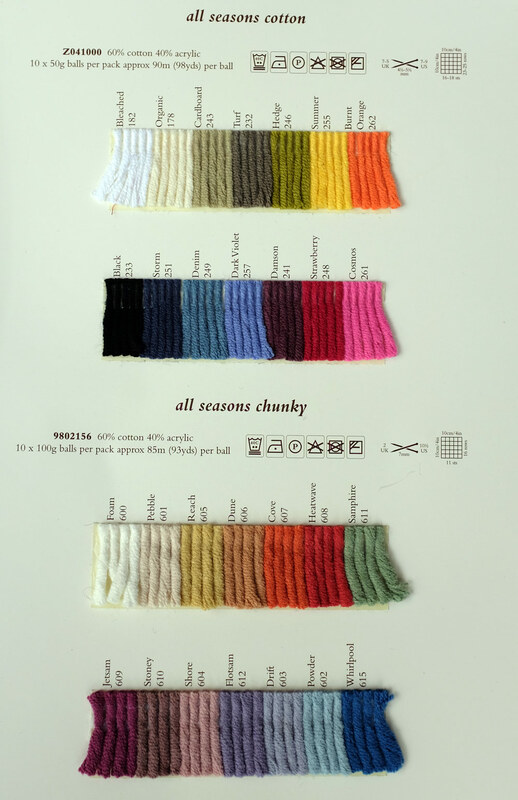 All Seasons Chunky is a beautifully soft fully rounded yarn which is perfect for knitting fashionable open work stitches and structures.